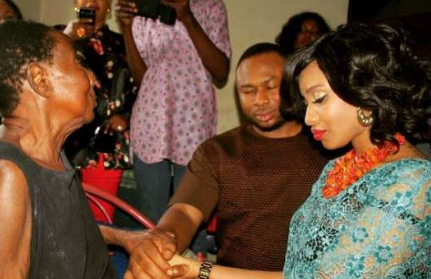 Tonto Dikeh has fired a non-fan who dropped a comment saying she is pained because her ex left her has said a thing that will shock the world – Churchill is a one sec man! 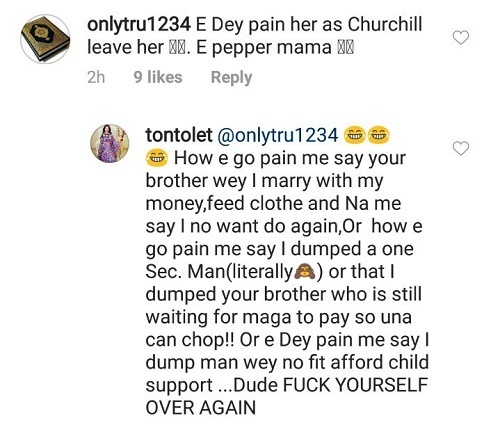 Tonto fired the non-fan when he said she was pained Churchill left her, telling him, he feed and clothed him during their marriage. No responsible man will want to marry and stay with this woman? And the same one minute man impregnante you? This woman has never been herself since her marriage broke up. May the lord heal her broken heart. Why do people get joy in disgracing their exes like this?